The Ghent Workgroup (GWG) is solving what may be the most common, potentially expensive problem in production and approval cycles: version frustration. Steven Carter, GWG packaging working group co-chair and SVP Technology, Phototype, will include details on new GWG-developed specifications being reviewed by the International Standards Organization (ISO) in his PIA Color Conference session: "Tools to Help You Create Rock-Solid PDFs for Packaging". Carter's session is scheduled for Monday, December 8, 1:40 pm at the Hilton Scottsdale Resort in Arizona, USA. Session attendees will be among the first, worldwide, to hear how the GWG has made major progress toward achieving the ultimate goal in packaging production and approval: one true version. In the meantime Carter, co-author of the current GWG packaging specifications, will show attendees how the newest specifications allow stakeholders to view layers, including print and non-print (metadata) information that is relevant and understandable to each one of them, only. Carter will also help attendees identify and assist them in exploring the tools necessary to creating rock-solid PDFs for packaging. Stakeholders can comment and pass the single version on for additional review. Brand owners can see 2D packaging graphics in the context that makes sense to them, without all of the complex technical information cluttering up their view. Printers can, and should, review all content, including the technical items that may not even print on the final package. The work done to advance the PDF format in support of packaging's vision falls into three basic areas. Special Color handling with Spectral values; support for multiple views of the same visual graphics, using the same PDF file, supporting the unique roles of the stakeholders within the packaging supply chain; and extensive non-content and finishing standards. Sonic Solutions LLC, an anilox roll cleaning equipment specialist serving the flexographic printing and packaging industries, has announced strong fourth quarter sales, fueled by increased market awareness in the company’s Phoenix Series line of ultrasonic anilox cleaning systems. Enhancements to Sonic Solutions’ Phoenix Series were made based upon customer feedback, and the anilox cleaning system has been refined and tailored to meet the evolving needs of the flexo industry. New features include a safer level of ultrasonics – 68 kHz – which allows smaller bubbles to get into the smaller cells of today’s higher line count anilox rolls. In addition, the Phoenix Series’ power generators have been modified to become external, interchangeable and easily replaceable. Safety has also been addressed through fixed thermostat settings and a low-level automatic shut-off feature. EasyLCA – Easy Life Cycle Analysis – is the name given to a new software developed by Henkel experts in order to make product packaging even more sustainable. Henkel is pursuing a long-term sustainability strategy through to 2030 aimed at making its operations three times more efficient. To achieve this ambitious target, the company is working on improvements along its entire value chain – from raw material procurement through production and on to disposal. The new EasyLCA tool is able to make a significant contribution to this process right at the development stage – by enabling comparison between different packaging types and analyzing their environmental impact during the individual phases of the product’s life cycle. The assessment takes in every phase and activity incorporated in the value chain – purchase and transport of the input materials, the manufacturing stage, packaging, outbound logistics, industrial usage or retail sale and consumption, and end-of-life disposal. Henkel experts from different departments developed the EasyLCA-Tool. The principle is quite simple: Various product packaging options are fed into the system and their properties – e.g. material or packaging thickness – are varied. The software then calculates the ensuing effect on the carbon footprint of the product and identifies the most sustainable option. Previously, these calculations would have been very time-consuming. Now the tool supplies the results in a matter of minutes. “EasyLCA is a fast and simple way of making sustainability analyses available for packaging development. As one of just a handful of companies, Henkel is thus making rapid progress toward the integration of life cycle analyses within the innovation process, enabling us to drive resource efficiency early on in the product development phase,” says Dr. Nikolaj Otte, a co-developer of the EasyLCA tool. Since 1975, Nägele Digital Repro GmbH’s, based in Kempton, Germany, has specialised in prepress work and the production of printing forms for flexographic printing in the packaging field, an area where brand manufacturers and packaging producers are applying increasing pressure on their prepress and printing partners. To meet these challenges, Nägele Digital Repro GmbH has recently extended its production capabilities with a Kodak Flexcel Direct System for the direct engraving of elastomer flexographic plates and sleeves. With the Flexcel Direct System, the company has acquired a direct engraving solution that is distinguished by its high resolution, productivity and outstanding versatility. The Kodak Flexcel Direct System features innovative, energy-efficient, high-power semiconductor laser imaging technology, Kodak-formulated press-ready elastomers and workflow software for accurate image reproduction. This outstanding combination of technologies offers sleeves and plates for flexographic printing superior in both quality and productivity potential - platemaking for flexographic printing, which was once labor intensive, is now made much simpler by the Flexcel Direct System. The new investment joins an impressive array of Kodak technology solutions at Nagele. They have been using Kodak’s high-resolution Flexcel NX System technology to produce high-quality photopolymer plates since May 2010. Kodak Flexcel NX Plates, which paved the way for a dramatic increase in the quality and reproducibility of flexographic printing, now account for 70% of the company's photopolymer plate production. Driven by the powerful Kodak Prinergy Workflow and equipped with Hybrid options, both of the company’s Kodak Flexcel NX Wide Imagers are also able to image offset printing plates. Nagele chose Kodak Trillian SP Thermal Plates - which require no preheating and reduce chemical consumption - to support brand manufacturers with traditional reprographics services and supply offset print shops throughout the region with print-ready plates. By extending its flexographic printing technology to include the Kodak Flexcel Direct System, Nägele Digital Repro GmbH is now ideally positioned to meet the specific needs of packaging printers with its wide range of photopolymer and elastomer printing forms. “With the Flexcel Direct System, we have achieved a new quality level that was not previously possible in the field of direct engraving,” concludes Manfred Nägele. Landa Digital Printing has announced the appointment of Marc Schillemans as European (EMEA) Vice President of Sales and the appointment of Kobi Ulmer as Vice President of Field Operations. Schillemans’ digital print experience and proven results-driven approach will bolster Landa’s sales ramp-up and market penetration. 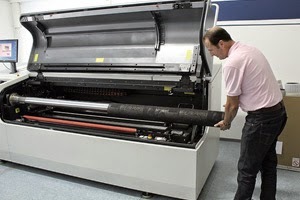 He has a successful track record for building digital print businesses. During the past eight years Marc has held a variety of senior management positions at HP, from President of Scitex Vision to his most recent role as EMEA VP of Sales and Market Development for HP Indigo and IHPS, HP’s inkjet web business. Prior to joining HP, Marc held senior sales positions with Agfa, Esko, Xeikon and Xerox. 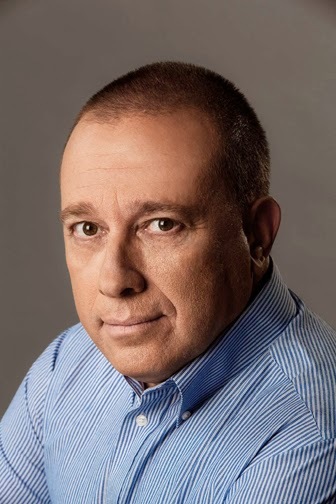 Landa also announced the promotion of Kobi Ulmer from Director of Worldwide Sales to VP of Field Operations, responsible for overall operational and logistical implementation of the Company’s market strategy, including global customer satisfaction, consumables, facilities and field logistics. Ulmer continues to be responsible for all non-EMEA sales. UPM Raflatac introduces the updated selection of labelling solutions for industrial, outdoor, machinery and appliance labelling. These products offer a diverse set of specifications to meet the requirements of specific applications. Advanced water-based and UV-cured adhesives offer environmentally responsible choices. As a category, Durables labelling has widely varying requirements for resistance to exposures including heat, chemicals, moisture, mechanical stress and outdoor conditions including UV light. The type of material being labelled also places demands particularly on the adhesive according to the surface energy and smoothness. To meet these requirements, UPM Raflatac’s Durables range incorporates solid face stocks with and without topcoats, plus overlaminating films for extra print protection, mechanical resistance and an extended service life. The latest non-solvent adhesive technology offers the same or better performance than traditional solutions, and with much-reduced environmental impacts. A newly published Durables Selection Guide gives information about each product’s technical characteristics and makes it easy to look for suitable label materials for technically demanding applications. The guide is available for download on the UPM Raflatac website, together with full technical details on UPM Raflatac’s Durables product range. Diflex has always opted for technological innovation, offering prepress and supplies for the flexographic industry that set it apart from other suppliers to the market. Its success is based on the experience of its staff, around 60 employees working in the company's three branches located in Madrid, Valencia and Portugal, and on the guarantee of quality and respect for the environment, which have been certified for years. To serve all the sectors of the flexographic market, the company has created three distinct divisions: Diflex embalaje Flexible [Flexible packaging], Diflex División Cartón [Paperboard Division] and Diflex Suministros [Supplies]. A year ago, Diflex decided to acquire a Kodak Flexcel NX System in order to meet customer demand for digital plates capable of overcoming the limits of flexography, enabling the company to offer a wider range of options for its customers’ container and packaging innovations. 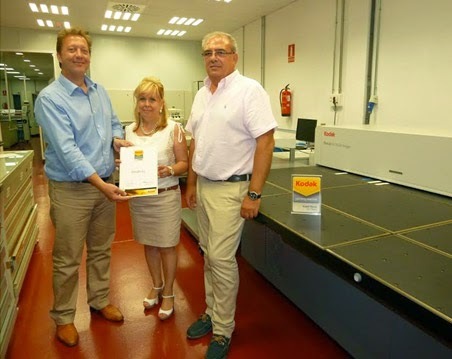 After twelve months of operation, Diflex has just achieved Kodak Certified Partner status for its work and is satisfied with the results achieved with this image processing technology, as well as the innovative materials in the Kodak Flexcel NX System, which have enabled it to expand its customer base. Since its inception in 1995, Diflex has enjoyed unstoppable growth thanks to a strategy of production process digitisation and automation, entailing continuous incorporation of new technologies to provide the best possible responses to customers’ flexographic needs. In view of this corporate philosophy, it is no wonder that Diflex was looking for a digital plate production system that would offer efficiency in production, stability and repeatability, as well as high image quality, and according to the company’s Managing Director, María Teresa Mesa, this is precisely what Flexcel offers. If having this certification represents a benefit to regular Diflex customers, Ms Mesa also feels it serves as a good letter of introduction to potential customers. This new technology has helped the company to win new customers in the food, plastics and label markets. If we add to this a wide range of products and services, as well as personalised customer service, Ms Mesa has no doubt as to the key to the company’s success. Bearing in mind Diflex’s corporate philosophy of offering every available technology on the market to allow customer choice, Ms Mesa is convinced that the company will continue to integrate new advances as they arise in the market. Consequently, it currently has in its sights the possibility of introducing the Kodak Plate for the corrugated paperboard market. 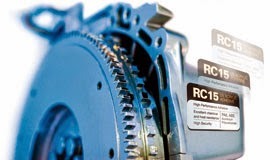 Henkel has extended its Technomelt EM range and presents the Technomelt EM 132-22. The PSA range (Pressure Sensitive Adhesives) offers high-performance adhesives for PET and can labeling. Technomelt EM 132-22 is a rubber-based labeling hotmelt, which is characterized by a low viscosity and a low application temperature. The hotmelt adhesive already shows very good bonding strength at an application temperature of only 120 degree Celsius. This is 15 degrees Celsius lower than conventional hotmelts used for this application. The low application temperature results in significant energy savings and a reduced risk of cracking of the adhesive. The benefits are that the machine has to be cleaned and maintained less often and the production efficiency is improved. Furthermore the stress on the processed material, like the label, can be reduced significantly due to the lower temperature. Despite the lower viscosity, the EM 132-22 offers the same adhesion as its precursor, the EM 362. The low viscosity in combination with the very strong bond of the Technomelt EM 132-22 leads to considerable adhesive consumption reductions. Also for high speed labeling machines, the low-viscosity hotmelt guarantees a precise adhesive application with spray system, without stringing. A beverage bottler in Italy invested in new labeling machines for PET labeling. 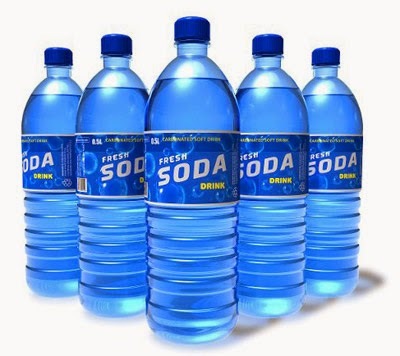 However retailers and consumers complained about bottles where the edge of labels came off. Thereupon the previous adhesive was replaced by Henkel’s Technomelt EM 132-22. The labels overcome the cold test over 48 hours at minus 5 degree Celsius as well as the heat test over 48 hours at plus 55 degree Celsius. Technomelt EM 132-22 convinces the customer with its higher adhesion in the „Hot Tack“, as well as with its more durable overlap bonding. This successful result is achieved with a lower and more energy efficient application temperature of only 120 degree Celsius, 10-15 degree lower as with the former used adhesive. The customer benefits from a reduced energy consumption as well as from significant adhesive consumption savings around 25 percent. Furthermore the customer appreciates the easy application of the low-viscosity adhesive. Henkel satisfies the customer requirements and provides with the Technomelt EM 132-22 an adhesive free of smoke and odour. Please contact your local sales representative for more information and assistance with product trials. More than 50 of Latin America’s most respected experts, printers and brand owners attended Kodak’s first packaging summit in Miami, Fla. The event provided attendees with a new forum for professional enrichment, networking opportunities and insight into the growing complexity of the space. Packaging has become an integrated marketing tool that gives brand owners direct access to end users and opportunities to build loyalty for decades to come. 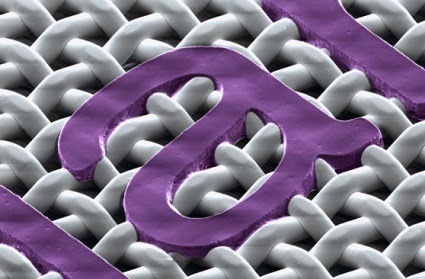 These benefits come with a variety of new challenges such as gathering rapid product feedback, complying with legislative oversight of customer tracking, and protecting the brand from counterfeiting. 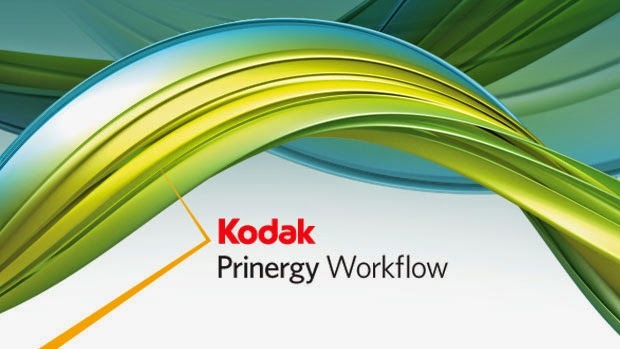 Kodak demonstrated how its products and services, such as Kodak Prinergy Workflow and Kodak Design2Launch Solutions, provide unmatched levels of automation and ease-of-use that reduce complexity and the risk of recalls. In 2015, the Kodak Packaging summit will continue its momentum with key regional events. The shows will bring both printers and brands together to discuss issues and learn about Kodak’s broad range of packaging technologies and solutions. 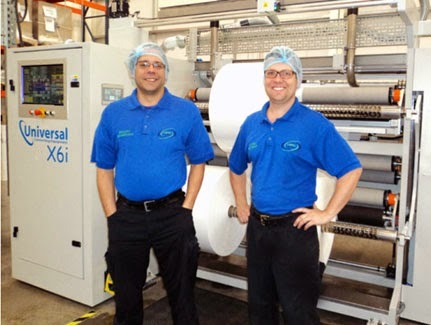 Lean Flexibles are a fast growing supplier and contract slitter of flexible packaging materials based at Hinckley, UK. Lean offer short lead time supply of a range of materials including PET, OPP, PE, CPP and multi-layer laminates. In choosing the Universal X6 slitting machine, Lean needed a wider web machine which minimised job set up times, produced consistent high quality rolls and was able to run at high speed. The Universal X6 machine is designed for processing flexible materials. A typical specification includes digital web guiding, automatic knife setting (Computaslit), additional tension zone through slitting, closed loop rewind tension control, constant geometry contact rollers, automatic core alignment (Computacore) and a running speed of 600m/min. The machine is designed to be simple to operate with a 22inch touch screen interface. A typical changeover, including setting 20 shear knives can take less than two minutes making the machine ideal for short run work. The integrated drive and control system offers precision and repeatability with extensive diagnostics including dynamic circuit diagrams. All this performance in a machine with a small footprint. The Universal X6 slitting machine has been designed to produce perfect slit rolls time and time again. 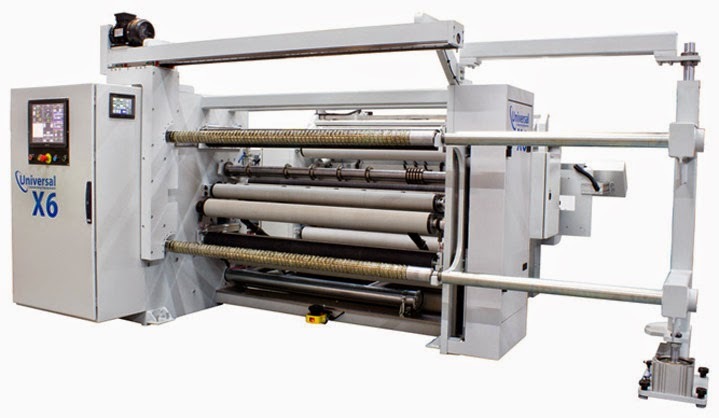 This versatile machine incorporates Universal’s closed loop Total Tension Control System ensuring consistent and repeatable roll tension profiles. Using digital AC vector drives and integrated control system, the machine offers unprecedented control whilst being simple and friendly to operate. Integrated technology allows remote diagnostics anywhere in the world simplifying ongoing support. Unlike most competitive equipment, the X6 features an additional operator controllable tension zone. The tension through the slitting knives can be set independently of the unwind and rewind tensions, ensuring the optimum tension through the slitting knives. The only way to guarantee the tension profile of rolls produced is closed loop tension control. Load cells measure the tension of the material being rewound and this are compared at high speed with the set tension profile. Any deviation from the set tension profile is immediately corrected. The operator can view set tensions and actual tension and this information can be saved as part of a quality assurance system. Precise control of the lay on rollers ensures that air is not drawn into the finished roll, allowing high quality rolls to be produced at high speed. Many machines have pivoting assemblies. These can be difficult to maintain parallel and as the rewound roll increases in diameter, effective force acting on the roll changes. The X6 uses a constant geometry lay on system that is rigid and does not change orientation at the roll increases in diameter. The perfect solution for high quality rolls. Shear slitting can be the best slitting system for most materials but can take a long time to set. Universal have developed and automatic system for setting shear knives that will set the knives in the time it takes to load a new parent roll onto the unwind of the machine. The system is simple to use, reliable and very accurate. It has been cost engineered to make it a viable solution for customers who need to minimise downtime and maximise quality. iSys Label, Canadian developer and manufacturer of short to mid run digital label printers, is pleased to announce a partnership with UniNet as OEM of their label printing technology. This agreement went into effect September 1st, authorizes UniNet to distribute the line of printers throughout their global network as the iColor 700 and 900. In addition to the sale of these products, UniNet will also provide full service, support, and carry stock of the consumables for the label printing equipment. Designed for in-house production of labels, these short to mid run digital label printers are renowned for printing single-pass, die-cut label labels on demand - making it easy to go from printer to applicator in one step. With media width ranges of 3 to 12.9 inches and lengths up to 1200 feet per roll, they make light work of printing on self-adhesive label stock, tag stock, and approved films/synthetics. These roll to roll digital printers are compact enough to fit in any office environment and greatly complement existing workflows and other print technologies. UniNet will be showing the iColor 700 and 900 digital label printers at upcoming trade shows including Pack Expo, West Pack, Packaging Innovations, Graphics of the Americas, and many others in the forthcoming year. A large number of food packages contain adhesives backed up by the concentrated knowledge of Henkel, the world’s biggest adhesives manufacturer. This adds to the security of both customers in the food industry and the consumers of their products. The “Food Safe Packaging” knowledge platform launched by Henkel one and a half years ago is now being made even more attractive – with an upgrade to its Premium Area offering an extensive array of information for people in the food industry. The offerings available on the website www.henkel.com/foodsafety include webinars, white papers and videos dealing with the key issues of food safe packaging. There is also a comprehensive online glossary. All it takes is a couple of mouse clicks to bring the basics up on screen. Those wishing to delve deeper into the topic are invited to register for access to the Premium Area. The global Premium portal has been revamped, with a clearer regional structure to its documentary resources providing an even better service to decision-makers in specific countries. Many of the mainly English documents available for downloading on the knowledge platform have also now been translated into further languages, including German, French, Spanish and Italian. A new free text search functionality, organized according to topic, region and media type, further facilitates the finding of relevant documents within the portal. And there is a new FAQ section in which the questions of most importance to industry decision-makers are competently answered by Henkel experts. The list also includes many of the questions asked by participants in the course of the live webinars. The food packaging applications for which Henkel adhesives are used range from cereal boxes, beverage bottle labeling and glossy pouch packages for potato chips, to film packaging for sausage, cured meats and cheese. With their know-how, Henkel’s specialists ensure that producers are able to offer the highest possible level of safety in their food packaging. Henkel’s Food Safe Packaging initiative addresses food safety officers, quality managers, packaging developers, buyers and other stakeholders from the food and beverage industry who wish to learn more about the issues and developments related to this important subject. Integral to this initiative is Henkel’s commitment to share knowledge, interact and collaborate with all partners along the value chain. The company is constantly building on its in-house competence, leveraging its activities in central analytics, toxicology and product development, and with a specialist team to deal with all the regulatory issues. The Plast India 2015 is all set to create new milestones, and scale newer heights as has been the tradition of every Plast India exhibition. 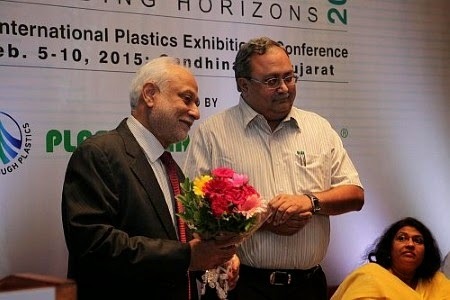 The strong growth that the plastics industry has witnessed in the recent past and continues to do so today will only help in making this Plast India, a resounding success. Plast India exhibitions have always been the cornerstone of the exponential growth that this sunrise industry has witnessed. The sheer numbers are overwhelming. Between 2013 and 2020, in India, plastics consumption is set to increase from 12 MMTA to 20 MMTA; exports from USD 6 billion to 8 billion as well as direct and indirect employment from 1.2 million to 2 million. So surely, 150,000 visitors would congregate at Plast India 2015 to visit the world’s finest 2000 exhibitors spread over a sprawling 125,000 sq. mts. at Gandhinagar, Gujarat. Gandhinagar as a destination will further catalyse this growth story. Gandhinagar is home to one of the most elaborate exhibiting infrastructure and the internationally acclaimed Mahatma Mandir Convention Centre. The exhibitors of Plast India 2015 will witness this expansive infrastructure and the convenience it brings to them and to their visiting customers. This ultra-modern venue has air-conditioned halls that are roomy and come with a convenient layout, created for ease of crowd movement. Ample parking space will be another plus. Locational convenience will surely act as a strong motivator for an unprecedented visitor footfall, especially when Gujarat and its near surroundings itself constitute a significant 60% of the Indian plastics industry. This fact will singularly ensure both, quality and quantity of visitors resulting in sheer exhibitor delight. Gandhinagar, located just 16 kms from Ahmedabad, is one of the most modern and well planned cities in India with wide avenues and ample greenery and is designed by a well known French architect. It comes with convenient road, rail and air connections for ease of access. With one of the best port facilities in the country, it will ensure smooth movement of cargo as well. Pleasant weather and a tourist destination will only enhance the pleasure of visitors to Gujarat, a truly vibrant state. Antalis UK has announced that as of 1st January 2015, it will be rebranding its packaging business as Antalis Packaging to consolidate its corporate identity under the single Antalis brand. The packaging operation of Antalis UK has been trading as Ambassador Antalis since the acquisition of Ambassador Packaging Ltd in 2012. During this time, the company has successfully combined Antalis’ unique industry position as a leading distribution and service provider with the packaging solutions expertise of the Ambassador Packaging business. 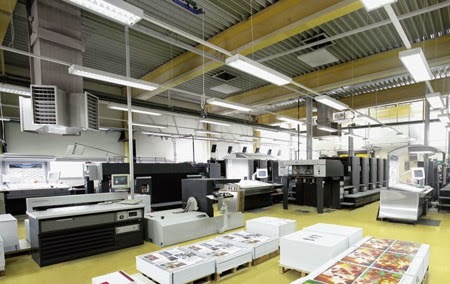 During the two-year transition of the integration of Ambassador Packaging into the Antalis business, customers have benefitted from a nationwide infrastructure of sales and distribution facilities as well as engaging with a broader product portfolio to provide greater access to a wider range of products, solutions and valued added services. This ongoing investment in the Antalis Packaging business provides firm foundations from which it can meet the growing demands of its customers for highly efficient, cost-effective protective packaging solutions that minimise waste and maximise product protection. 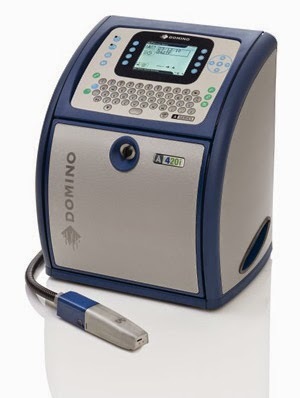 Leading coding and marking specialist Domino Printing Sciences recently premiered a video highlighting the coding and marking capabilities of the G-Series thermal ink jet (TIJ) printer. Domino’s TIJ technology is ideal for pharmaceutical manufacturers looking to implement item level serialisation - one of the key themes of the EU Falsified Medicines Directive (FMD) and other emerging legislation. Global legislations place an increased focus on product authenticity, making way for changes to pack coding and marking to protect against counterfeit goods. “The change from batch to item level unique identification is the single greatest challenge the pharmaceutical industry has ever seen,” says Craig Stobie, Domino’s global life sciences sector manager. 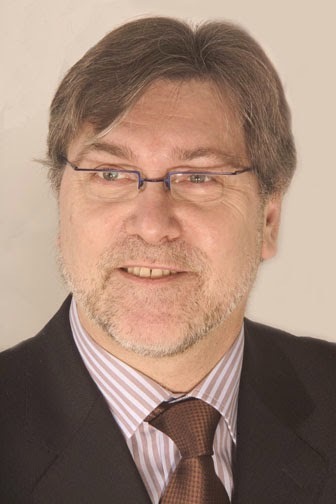 “Serialisation implementation will impact right across the business and through the supply chain, requiring a complete re-assessment of operations. The video focuses on key characteristics of Domino’s TIJ range that include high speed serialisation at item level, achieved partly by independently certified market leading dry time for its BK652 ink. Stobie says: “We know that most pharmaceutical manufacturers will want to apply tamper evident labels immediately after printing. Our BK562 ink dries in less than half a second, when many common inks would smudge and subsequent rework would be required.” Other key characteristics of Domino’s TIJ inks include maintained ink contrast and light fastness, vital for pack authentication at point of dispense. One of the most pressing issues for many pharmaceutical manufacturers centres on Overall Equipment Effectiveness (OEE); in a recent Domino survey, over half of respondents believed legislative compliance would reduce OEE by up to 20%. The four-minute video is available to view here..
As an OEM, Gallus has always been committed to delivering the highest standards in terms of quality, safety, performance, reliability, responsibility and technological advances for its Gallus Screeny Genuine screen printing plates. 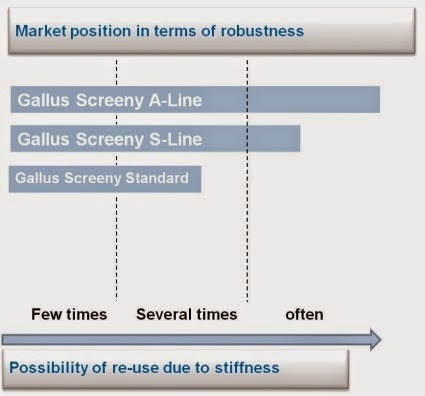 This Gallus promise is also reflected in the new Gallus Screeny Advanced Line (A-Line). Due to be released on the market from beginning of 2015, it draws on the Gallus Screeny S-Line in terms of ink layer thickness and print resolution. For the Gallus Screeny A-Line, the complete architecture of the screen printing plate – from the micro-mesh structure to the photopolymer layer – was examined to ensure it fulfilled as many of the criteria for a good screen printing plate as possible. In simpler terms, the combined Gallus expertise gathered over 30 years of developing and producing screen printing plates was used to reinvent such plates. The ongoing optimisation of the production workflow for screen printing plates and many years of experience in materials development have improved the products significantly. 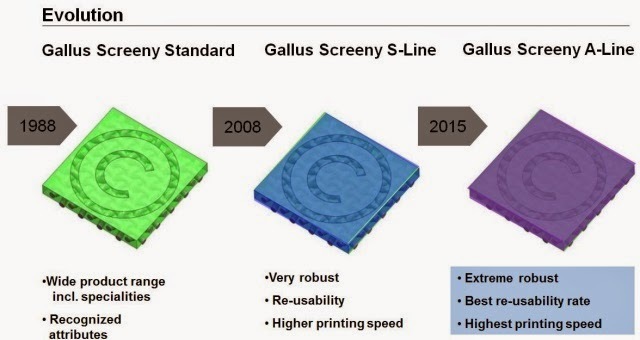 The diagram below shows the evolution of the Gallus Screeny Genuine screen printing plates, from the Gallus Screeny Standard Line and Gallus Screeny S-Line to the Gallus Screeny A-Line. All the screen printing plates have been designed in such a way that each improved generation is able to deliver greater productivity for the same applications, as all previous generations. Robustness, excellent print results, optimum image resolution, a wide range of possible applications, a perfect ink flow, high print speed and straightforward final checking of the imaged screen printing plate are important factors that have been taken into account during the development of the Gallus Screeny A-Line. By fulfilling these criteria, the Gallus Screeny A-Line sets entirely new standards for screen printing on the label market. The main feature of the Gallus Screeny A-Line is its exceptional robustness, which is particularly advantageous when handling screen printing plates both inside and outside the press. This robustness greatly simplifies handling in prepress and production. The excellent basic stability of the Gallus Screeny A-Line minimises the risk of damage to the screen printing cylinder, thus lengthening the cylinder’s service life. Manufacturing the screen cylinder, transporting it to the press, its frequent installation in and removal from the press, and its cleaning and storage are all made much easier. The Gallus Screeny A-Line is therefore ideal for maximising the number of times plates can be re-used. This higher re-utilisation rate is also the quickest way to significantly cut costs per screen-printed label. The more often the same screen printing plate can be used for repeat jobs with the identical print image, the lower the “total price” for the screen cylinder and the lower the total costs per label. The Gallus Screeny A-Line has a new, violet-coloured photopolymer layer that provides a perfect contrast for the human eye. In yellow light, it is now even easier for prepress employees to judge whether the screen printing plate is correctly imaged and if the polymer layer has been washed out perfectly. The final check of the fabric prior to printing is of crucial importance. If the screen printing plate hasn’t been perfectly imaged and washed out, this will lead to waste in the print shops’ production halls. Only a carefully prepared screen printing plate can deliver the best possible print results, optimised image resolution and perfect ink flow. In terms of profitability, 2014 has been a successful year for Gidue Technology, especially in the Turkish market. Thanks to the great cooperation of its Turkish certified distributor IMEX Group, Gidue is proud to announce that in the last few months several Gidue MX printing machines have been installed to some important converters in Turkey. Among them it is important to highlight Yeniler Etiket. Founded in 2004, Yeniler Etiket is a Turkish converter, based in Istanbul, that is specialized in the production of thermal and logistic labels. 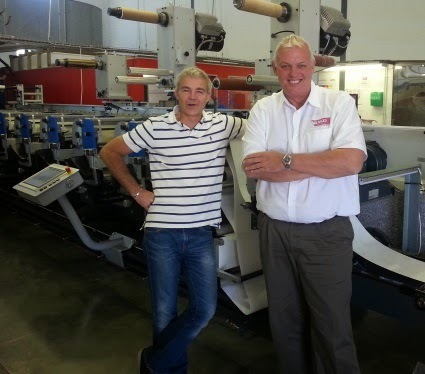 The cooperation with Gidue started in spring 2013 during Printtek Expo, when they decided to purchase their first Gidue UV Flexo press: a MX 370 mm width, 8 colors and 1 die-cutting station, that was the one exhibited at Gidue booth. 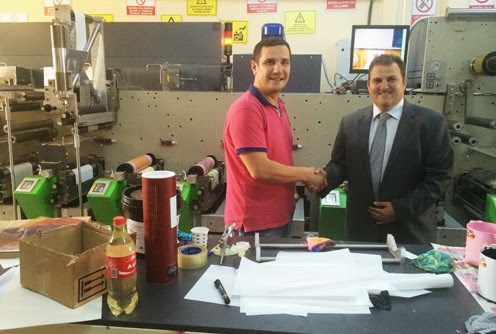 Following the successful results achieved with the first installation, Mr. Mehmet Akdag, Owner and Director of the company, decided to keep on investing on Gidue technology and after less then 6 months he installed the second Gidue press, an MX2 370 mm width, 8 UV Flexo colors and 2 die-cutting stations. “We bought the first MX during the exhibition in Istanbul and we were so happy of this investment, that in 6 months time we decided to buy another Gidue press. With the growing demand of the Market for high quality labels, it is necessary to operate with advanced systems and Gidue technology is exactly what we were looking for. ” commented Mr. Mehmet Akdag, Director of Yeniler Etiket. The resounding success of Gidue technology has spread across Turkey and after the first installation to Yeniler Etiket, 2 other Gidue MX UV Flexo presses 370mm , 8 colors and 1 die-cutting station, have been purchased and installed to 2 other big Turkish converters: Etimag and Tanitim Etiket. Lead by Mr. Oguz Okur, Etimag is a big converter based in Istanbul that has been operating in the Labels and Packaging Industry since 1998 and that is specialized in the production of Shrinkable Sleeves and Pharma Labels. Etimag’s mission is all along focused on the complete satisfaction of customers needs through the use of the latest high-technologies available on the market and the help of a pool of dedicated experts. “We saw Gidue presses in a famous Print House in Istanbul and we were immediately surprised by its performances and the ease of the operations. We have therefor decided to add it in our machinery inventory and today I can say that we are more then satisfied with this investment.” quoted Mr. Oguz Okur, Director of Etimag. Tanitim Etiket is another example of converter that, after the great impact of Gidue MX press on the Turkish market, has decided to invest on Gidue Technology. As it was for the first two companies here mentioned, also Tanitim Etiket is based in Istanbul and it is one of the major converters in the Turkish overview. It has been founded in 1980 by Mr. Taner Sansal and it is specialized in the production of Cosmetics and Food Labels. “The cooperation with Gidue distributor IMEX Group started several years ago and we have always been such satisfied with every investment, that when we decided to buy our first UV Flexo press, we had no doubt about where to go. Gidue MX press is really the ultimate solution for every converter that wants high quality in printing with a moderate price.” affirmed Mr. Taner Sansal, Director of Tanitim Etiket. Since its launch in June 2012, more than fifty MX presses have been installed worldwide. MX presses makes Gidue technology available to a large number of converters who need top print quality, or would like to change from letterpress to UV-Flexo, at an affordable investment level. An 8 colors MX UV Flexo press, entirely loaded with Gidue quality, is the best possible option today available in the market. Cristina Toffolo, Gidue Vice President Marketing concluded: “Turkey is an attractive market in which to deal with a large rate of expansion. Its growth in the packaging industry is becoming a leading reference in Europe by showing signs of modernization typically Western. Gidue provides a wide range of solutions for the Labels and Packaging industry: Digital Automation, Tension and temperature control, multi-process and added value converting, it offers exclusive solutions and best value for quality and innovation in the Turkish market. Fujifilm announced that print service provider Straub Druck + Medien AG is the first company in Germany to invest in its second generation Jet Press 720S digital B2 inkjet press. One of the key factors that influenced the company’s decision was the ultra-high print quality of the Jet Press 720S. Founded over 130 years ago, Straub Druck + Medien AG is based in Schramberg in the Black Forest, Germany, and currently employs over 80 people. The company produces a range of high-quality printed products, both long and short run, including annual reports, brochures, scratch-and-sniff calendars and mailings for regional, national and international customers. It also offers a wide variety of processing and finishing options for all applications, and has huge experience in digital printing. Domino has reached a milestone with the integration of its 1000th coder to the QuickDesign platform, at food supplier Rose Poultry, based in Denmark. This marks a noteworthy achievement for Domino, which has seen the demand for Coding Automation software expand dramatically in recent years. With QuickDesign Domino has enabled new solutions and introduced a standard for European, US and Asian markets, cementing its position as a global authority in Coding Automation. Innovation Pavilion is a first time theme to be used for Plastindia Fairs and is going to be an exciting place to visit for all interested in modern development using plastics. We want this to be of utmost importance to all those interested in Research & Development. Science, Inventions and Innovations and specially to Scientist, Technologist and Engineers and Faculty members & students. We also plan to make it as interactive as possible and entertaining beside being educational to even lay public visiting Plastindia 2015. Industry / Institution Sections: The biggest section of this Innovation Pavilion will consist of presentation of Innovations as practiced by Plastics Industries and Academic Institutions. Industries will have possibility of showcasing their novel ideas in terms of products, process, designs and so forth. They will thereby not only get to exhibit their ideas but by getting responses from visitors, they will also be able to carry out a market survey of these innovations. The institutions will have a major scope to present their various development ideas and thereby they will get earlier unheralded exposure to their development and will have feasibilities of turning their inventions into innovations will the help of visiting industries. Graduate Students Posters: An important section of this pavilion is where graduate students research work will be presented as posters. The posters can be on Materials, Processing, Applications and Sustainabilities as they relate to plastics and polymers. As we plan to have only graduate and post-graduate level R & D presentations. It is anticipated that visitors from other institutes as well as industries will find not only the ideas generated by this young force useful but they will also have possibilities of conducting some impromptu interviews to select the future leaders of R & D.
Plasticon Awards: A pride of place will be given to Plasticon Awardees in this pavilion, a fitting place for all those who have won the much sought after Plasticon Awards in as many as twenty five categories. Of course, a separate function will be held for giving these awards, but it is in this pavilion that visitors will have a more leisurely look at their award winning work and may get even interact with winners. Innovation Pavilion is already getting some interest related inquiries for sponsorships and participations. The committee consists of Dr. Prakash Trivedi, Mr. Jayesh Rambhia, Prof. Anup Ghosh, Prof. Mohan Shenoy and others ready to join. SATO, a leader in barcode printing, labeling, and EPC/RFID solutions, announced today the launch of a new generation of the Magellan PJM1 RFID Desktop Reader Series. 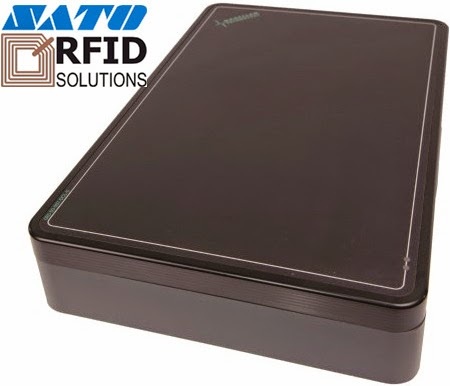 This new generation employs intelligent self-tuning technology that allows the RFID reader to automatically adjust its sensitivity to achieve the best performance regardless of the number, size or type of PJM RFID tags being used.